This High Security shredding machine shreds to 0.8 x 4.5mm and shreds only paper. It has an integrated Auto Reverse Function for easy removal of jammed paper. Warning lights for stand-by, basket full, door open and paper jam. User friendly thanks to i-control® function control. Silentec®: innovative sound dampening principle and EcoLogic for more energy efficiency. CPNI DIPCOG approved. Warranty 2 years on machine & Cutters. 60 Litre pull out collection bin. 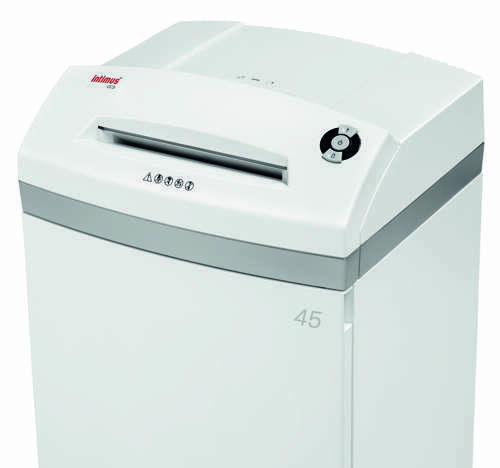 This High Security shredder destroys paper to 0.8 x 4.5 mm particles. Low noise level •Automatic start and stop. •Dustproof enclosed cabinet •Mounted on rollers for flexible use •Material: shock resistant plastic, wood • Low noise level Integrated Auto Reverse Function for easy removal of jammed paper. CPNI approved. DIPCOG approved. Warranty 2 years on machine and cutters. 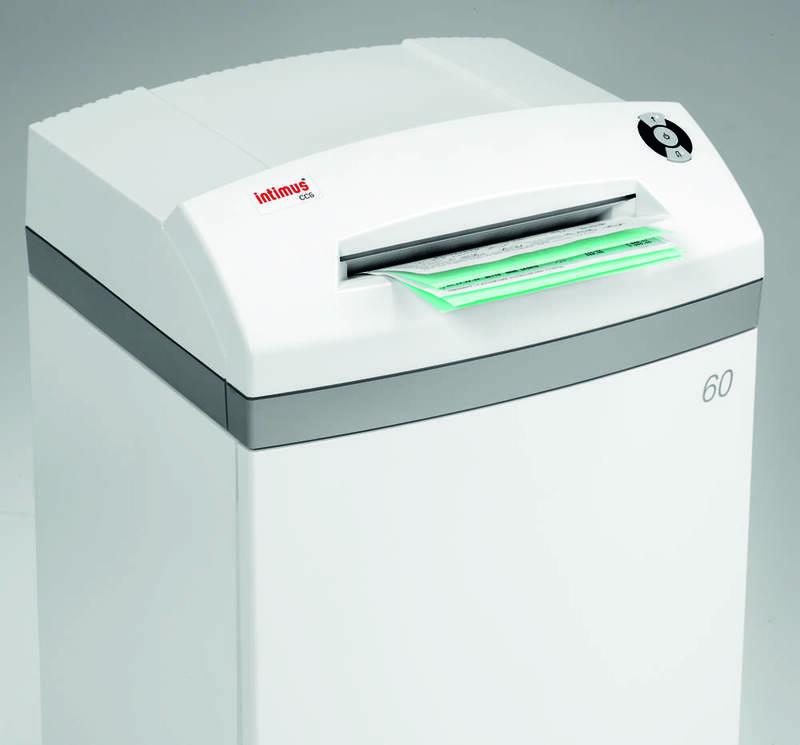 This High Security shredder destroys paper to 0.8 x 12mm. It has an auto reverse facility for easy removal of overloaded paper. Warning lights for stand-by, basket full, door open and paper jam. User friendly thanks to i-control® function control. Silentec®: innovative sound dampening principle and EcoLogic for more energy efficiency. CPNI DIPCOG approved. Warranty 2 years on machine. 120 Litre collection bin. 175 Hybrid - Shreds paper and optical media in only one machine. This High Security two in one shredding machine destroys paper and optical media in one machine. Separate cutting heads shred paper to 0.8 x 4.5 mm and CD/DVD to 1.2 x 2mm into separate collection boxes for easy recycling. CPNI & DIPCOG approved. 007SF High Security 0.8 x 4.5mm Cross Cut Paper Shredding Machine 10 Sheet Capability. CPNI & DIPCOG approved. Optional integrated oiler. Manual start/stop with multi-function button. Automatic start/stop with light barrier and electronics equipped with microcontroller Auto-reverse and reverse key for quick elimination of paper overloads Warning lights for standby, basket full, door open and paper overload. Mobile, sealed, dust-free cabinet Optional automatic oiler. 175 Litre bin.